In a post–9/11 world, American Muslims face numerous challenges that prevent individuals from realizing their full potential. ISPU addresses these challenges through solution-seeking research, paving the way for a brighter future. Read about our impact below. In a post–9/11 world, American Muslims face numerous challenges that prevent individuals from realizing their full potential. ISPU addresses these challenges through solution-seeking research, paving the way for a brighter future. Some of these challenges are externally imposed as a result of the current geopolitical climate and widespread misunderstanding. The lack of data and dearth of Muslim voices in media and policy circles compound the problem. Anti-Muslim sentiment and targeted policies that infringe on personal and religious freedom are the new normal. But, many day-to-day challenges facing the community are internal, resulting from life’s challenges, cultural norms, a diversity of interpretations of Islam, and the overlapping of identities. Encouraging solution oriented honest dialogue and debate. Half of all Americans do not know a Muslim personally. So, what they do know about Muslims comes from the media. However, media content analysis illustrates that 80% of that media coverage is negative. Not even North Korea, a designated terrorist state, has a higher rate of negative coverage than do Muslims. Unfortunately, as a result, Muslims are today the least trusted faith group in America. And because so much of American Muslims’ attention is diverted to combatting these perceptions, there are fewer resources and attention being focused on community development and the day-to-day challenges faced by many. If the challenge is multilayered, so too then must be the solution. ISPU’s public policy research examines the structural barriers that hinder the American Muslim community from full inclusion and participation. The findings provide policy makers, the media, nonprofit leaders and the general public with an accurate understanding of the American Muslim community, while building allies and identifying common challenges and solutions. 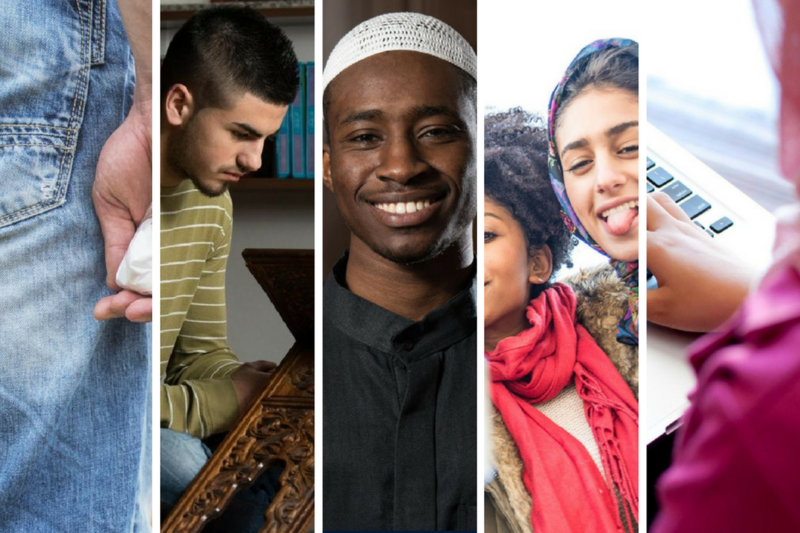 Additionally, ISPU’s social policy research examines the day-to-day challenges many Muslims face, providing case studies, data and actionable recommendations in order to catalyze community development and build capacity to confront those everyday obstacles that affect American Muslims’ ability to thrive. Finally, ISPU’s thought leadership work seeks to inform national debates. Through op-eds, panels, convenings, debates and the use of media, ISPU inserts expert voices into discussions that impact all Americans. Imam Hassan Selim has led the Islamic Center for Cedar Rapids for more than four years. Like many in his position, he is tasked with forming a more inclusive mosque, one that can assist an always changing and diverse community in often challenging times. One recurring obstacle was the lack of real-life examples of mosques that had overcome these same challenges. Imam Selim learned of ISPU, and our Reimagining Muslim Spaces (RMS) project, while attending a conference where our research was being presented by Executive Director Meira Neggaz. Imam Selim shared ISPU’s research with his incoming board, used ISPU research to coordinate the use of his mosque as an early voting center, and plans to use another RMS report to encourage the forming of a free clinic. He also, following a specific recommendation from our “Creating a Welcoming, Inclusive, Dynamic Mosque” report, championed the appointment of a woman as the chairperson of his mosque. ISPU’s reports give precise guidelines, and clear and real examples, and should be read by every imam across the country. If you’re a policy maker, an activist, or just a citizen who wants to know what’s going on, this poll is excellent information. 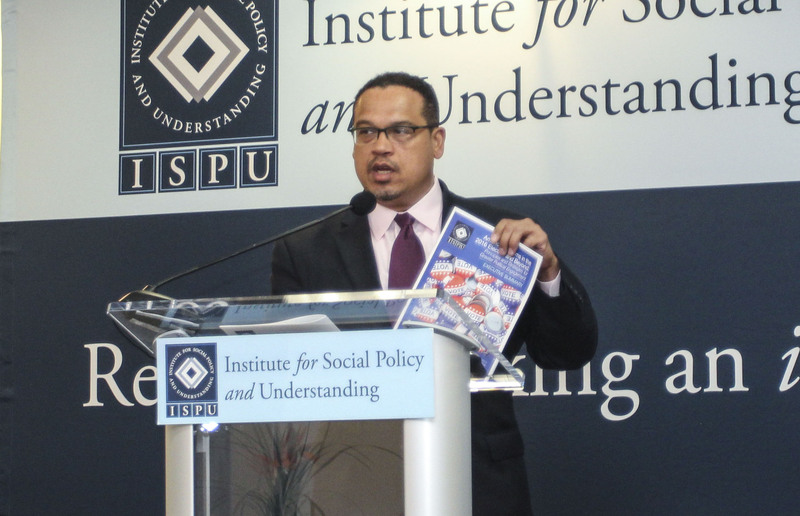 For Congressman Keith Ellison (D-MN), ISPU research is an invaluable resource. For him, “ISPU produces information, poll data, and studies that allow me to propose policy that’s based on fact.” In 2016, we released our American Muslim Poll, which examined the attitudes of Muslims, Jews, Protestants, and Catholics on topics ranging from politics and religion to violence and identity. Roughly half of Americans say they don’t know a Muslim. And when 80 percent of news coverage about Islam and Muslims in the United States is negative, the result is a climate where the majority of American Muslims report some level of discrimination. ISPU’s American Muslim Poll helps the fight against rising Islamophobia by educating the public and enabling activists and policy makers alike. ISPU provides thought leadership by populating timely national discussions with Muslim voices and voices that are knowledgeable about the needs and desires of the American Muslim community. In 2016, ISPU’s thought leadership was amplified in an unexpected way. On January 7, 2016, many watched ISPU’s Director of Research, Dalia Mogahed, on The Daily Show. Among these was 16-year-old Pat McGarry, a high school sophomore from New Jersey. Pat was moved to learn of the discrimination suffered by American Muslims. As an aspiring filmmaker, he knew just what to do. Pat researched ISPU via our website and other articles. 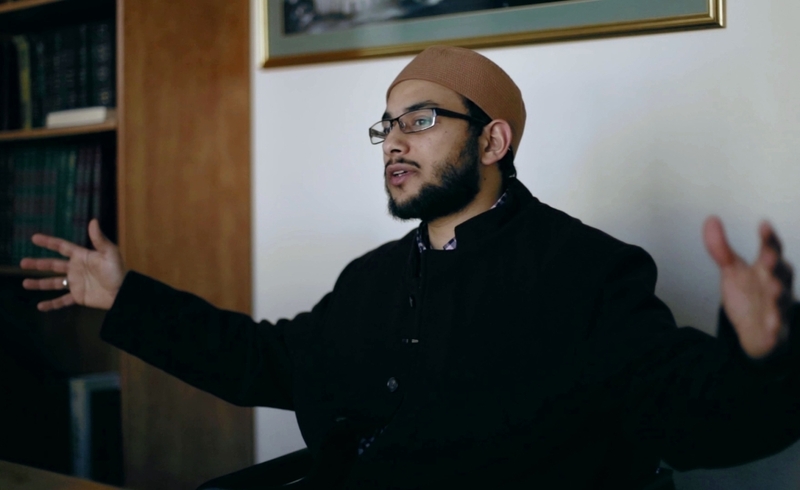 He used what he learned to make a film, “How to Be an American Muslim: A Satire,” which he entered into the Robert F. Kennedy Speak Truth to Power film contest. 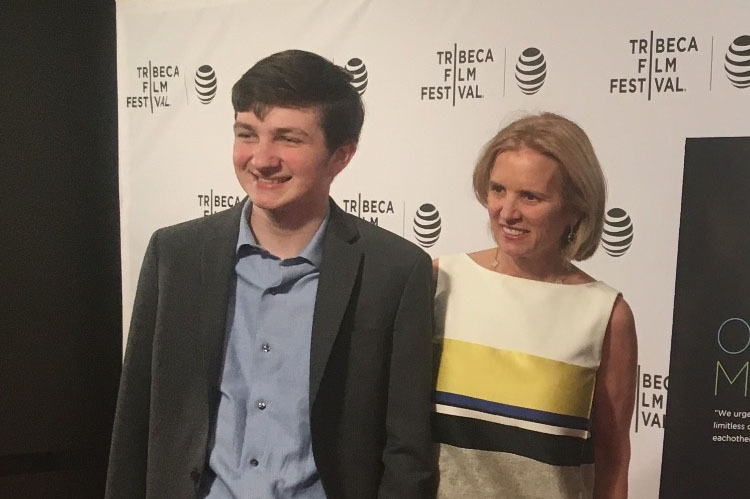 His film won first prize, which carried with it a screening at the Tribeca Film Festival in New York City. There’s no how to being an American Muslim. You just are. And it’s at moments like these, when to be Muslim you have to overcome physical threats, that people like Dalia Mogahed matter the most.